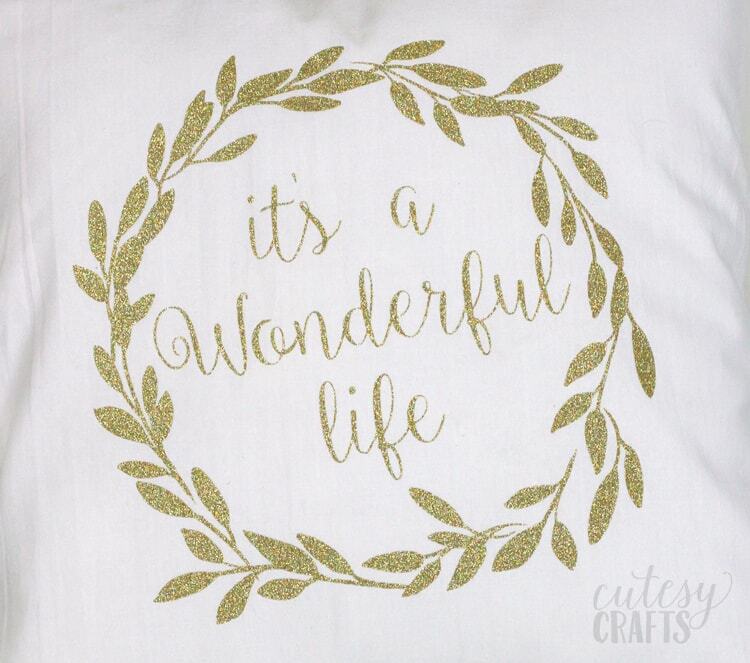 Home / Holidays / Christmas Crafts / “It’s a Wonderful Life” Pillow and a GIVEAWAY! One of my all time favorite Christmas movies is It’s a Wonderful Life. It doesn’t feel like Christmas until I’ve watched it! I love the messages that the move shares about life and what is really important. I made this cute pillow as a visual reminder of the warm and fuzzy feelings that I get when I watch the movie. Would it be weird if I kept it out all year long? I sewed the pillow cover using a flour sack towel that I had sitting around. It’s an envelope pillow cover, so I can easily cover the pillow with something else once the season is over. Using the towel made it easy since I could use the edges that were already hemmed for the back of the pillow cover. 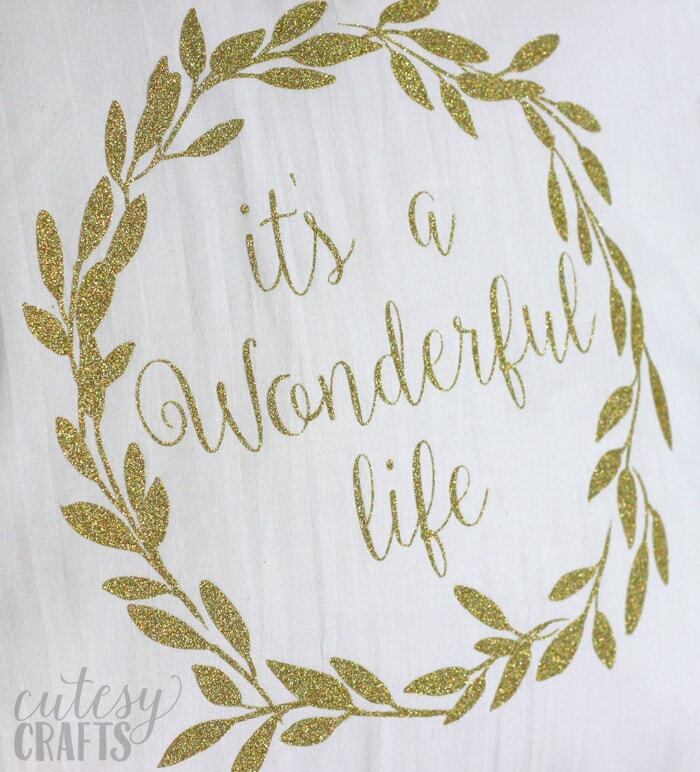 I cut the design, on my Silhouette, out of beautiful gold glitter heat transfer vinyl and ironed it on to the front. I love it because it’s really sparkly without the mess of glitter. The wreath was a design from the Silhouette store that you can find here, and here is a free Silhouette cut file that I created for the words. 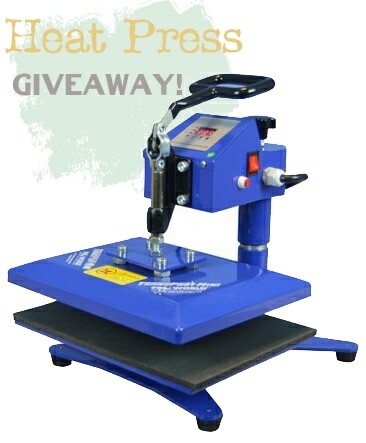 And… I’m super jealous because someone is going to win this TransPro Mini Heat Press from Pro World! 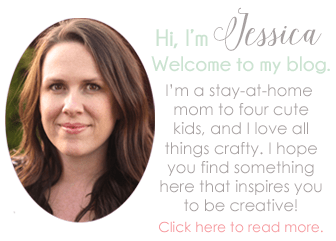 You can make this project without a heat press, but this would make it a whole lot easier. Imagine all of the custom T-shirts you could make! To enter, just use the Rafflecopter widget below. Good luck! I’m stopping by to see everyones projects this morning! The gold heat transfer paper was my absolute favorite. 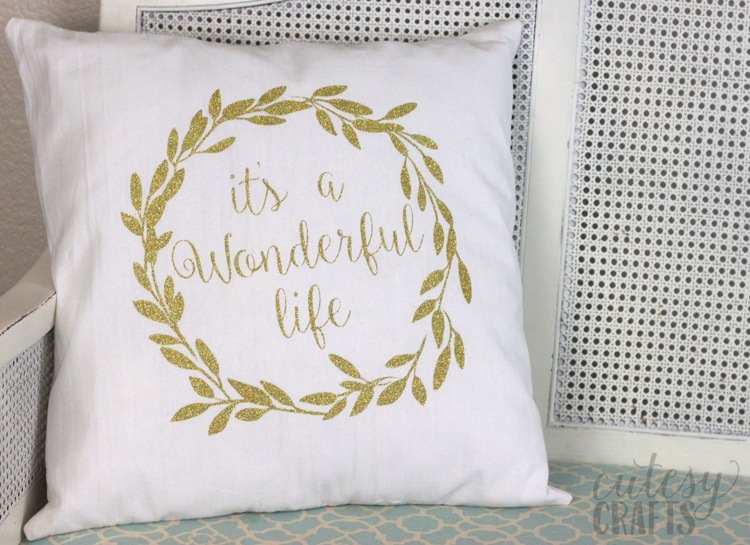 This pillow is so pretty and I loved that you sewed it using a flour sack towel!